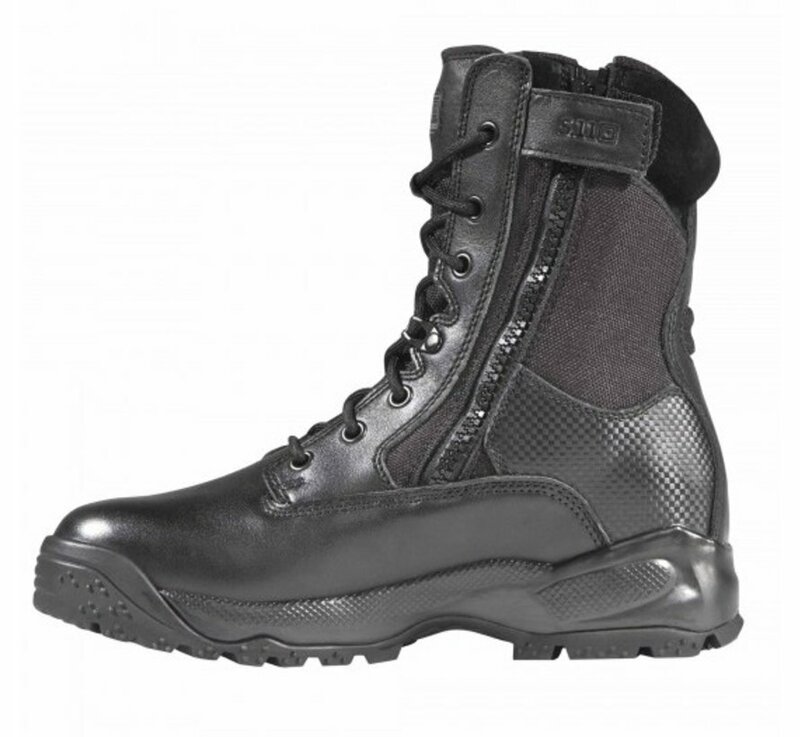 5.11 Tactical A.T.A.C. 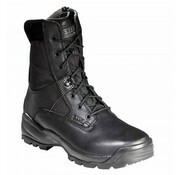 8" Side Zip Boot (Black). 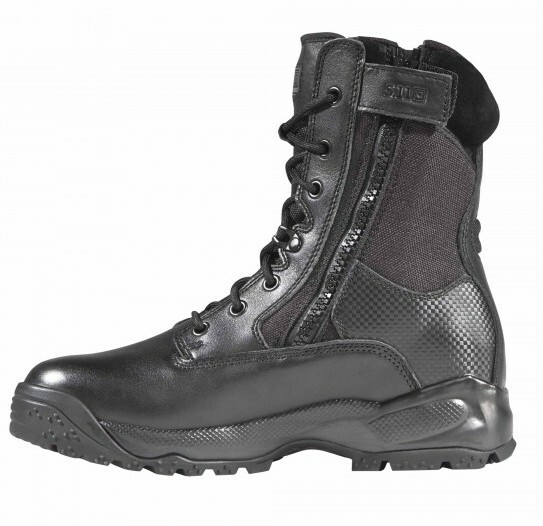 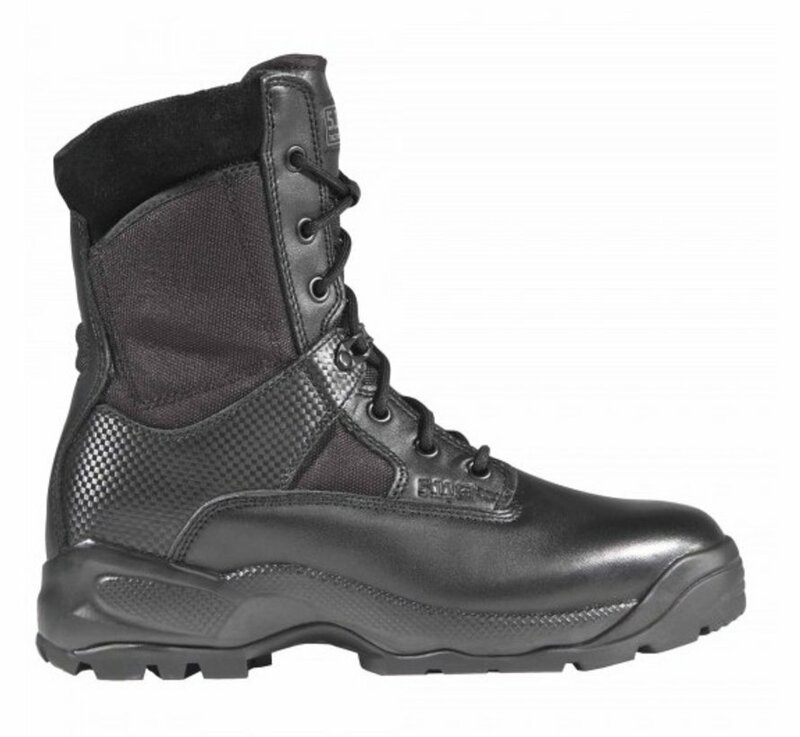 Engineered to meet the demands of law enforcement, military, and tactical operators, the ATAC® 8" Side-Zip Boot delivers high performance and comfort in a professional profile. 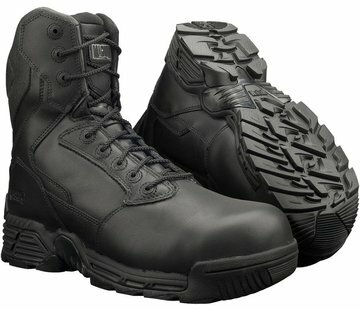 The upper provides breathable stability, and the full-grain leather toe offers a sturdy, polished appearance. Featuring an injection-molded Phylon midsole, cushioned insole, and non-metallic shank, these boots are built to support you when the job heats up. Our Shock Mitigation System® and an oil- and slip-resistant outsole offer enhanced speed and traction, while a moisture-wicking lining keeps you cool. 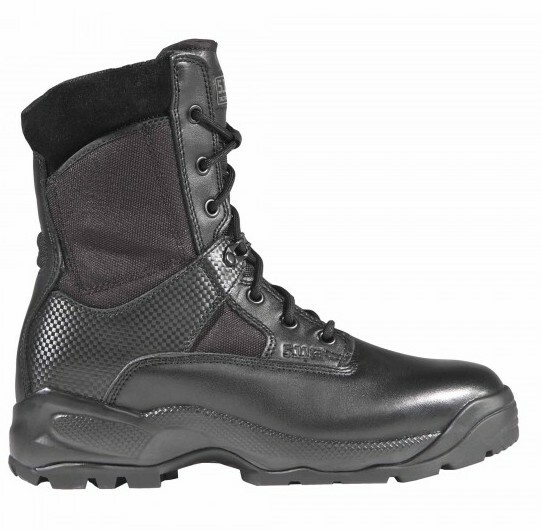 Battle-tested excellence.